When it comes to discussions of race, black people have been conditioned to protect white feelings, as they’ve come to be known. In the event that we take the risk of discussing race with white people, we automatically apply an overlay of caution, so as to not offend or upset our white counterparts. If we don’t, we are often quickly written off as angry and unreasonable. Think about that. When a black person, a member of the race that has been intentionally oppressed since the country’s founding, discusses race issues with a white person and does not censor themselves or, intentionally or not, speaks too openly—or heaven forbid, becomes upset—their expression of emotion is viewed as unreasonable and every point they make, no matter how valid, is subsequently discounted and discarded. Even writing entries for this blog, I am quite conscious of the likelihood that, if I offend you, you’ll stop reading and that will be the end of our communication; however, I want you to hear me and understand what I’m trying to tell you. So, you should know that, despite my perceived tone, I am trying my best not to offend you (as much as I hate that I have to do that), while conveying my thoughts as clearly as possible. In spite of this, I know that I have already offended some people. Check the social media comment threads associated with these blog posts if you need evidence of that fact. This concept of white feelings is an effective illustration of just how difficult it often is for black people to honestly speak our truth to white people within the confines of the system that has been created. My two sisters and me. 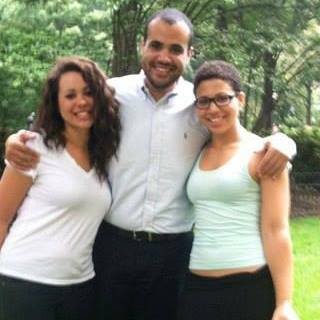 A few years ago at a family reunion, my two sisters and I had a conversation about race with two of our white cousins, both of whom reside in conservative Lancaster, PA. The conversation was extensive, keeping us up into the early morning hours. One of our cousins pushed back against nearly all the points my sisters and I made, arguing against, in large part, the feasibility of standing up to racism as a white man. In doing this, he was challenging our lived experiences. We explained that an important part of anti-racism work involves confronting race issues within the workplace. Indignant, he asserted that he was not able to bring up and speak out about race issues in his office because he had already used up his “social capital” on issues relating to climate change. He explained that he was known around his office as the guy who rides a bike to work and chastises certain colleagues for throwing their soda cans in the wastebasket instead of the recycling bin. In our eyes, he was comparing race issues to recycling and climate change. To him, race issues were just another social cause for which he could not manage to dedicate additional energy. During the discussion, our cousin continued to become upset and offended by much of what my sisters and I relayed to him. It was clear that our confronting him with his potential complicity in, and likely advancement of, normalized white supremacy triggered white feelings, as our discussion and suggestions elicited emotions from which society had typically insulated him. It was disheartening to hear someone tell you directly that, while they may be working to understand your life experience as a racial minority, they cannot bring themselves to be inconvenienced by speaking out on your behalf. This exchange was troubling on a more personal level as well, as the hurtful argument, equivocation, and displays of obvious distress, anger, and frustration were coming from a family member. Our other cousin listened to our experiences and grievances. He asked questions. He listened more. He didn’t play so-called Devil’s Advocate. He did not become upset or angry (or if he did, it did not show). He gave examples of interactions he had with certain types of black and white people, and then asked more questions. He listened more. When we answered him, he accepted our answers and in doing so, accepted our lived experiences. Despite the fact that much of the discontent we were conveying to him relating to our lived experiences arguably implicated him, he wanted to learn. Since our conversation, he has contacted my sisters and me when he has encountered situations involving racial issues in his own life and asked for our thoughts and input. He has even gone as far as to provide proposed responses to certain specific situational conflicts and ask us, as black people, which of his responses would be most beneficial. If every white person in the U.S. were able to temper their immediate emotional response to discussions of race, this country would be a much different place. If every white person approached exploring and understanding racism the way the second cousin does, this county would be a very different place. If white people worked to identify and address their own overt and unconscious biases and, perhaps most importantly, stifle their anger, argumentativeness, and hurt in order to help racial minorities feel comfortable enough to be honest with them about our experiences, a wave of pronounced racial advocacy and advancement would pour over our country. Anti-racism initiatives would experience markedly greater success. And importantly, on a personal level, racial minorities would be more likely to be open and honest with white people about our experiences, a necessary element of true racial progress. My two cousins are great examples of just how necessary identifying and confronting the automatic protection of white feelings is for the facilitation of productive racial dialogue. I have no idea how each came to approach the same conversation so differently. But I am sure that, until now, neither of them fully realized the important phenomenon our conversation illustrated. The protection of white feelings is real. Unless white people realize and disassemble this automatic inclination, the subject of race will continue to be among the most difficult to discuss and, ultimately, to improve. Further reading: Robin DiAngelo’s White Fragility: Why It's So Hard for White People to Talk About Racism, effectively examines white feelings and fragility as well as other elements of racial dialogue.